There is a basic version of Leadfeeder with limited functionality available for free called Leadfeeder Lite. Leadfeeder Lite shows the last 7 days worth of leads only, doesn’t show what companies do on your website and doesn’t include integrations and many other advanced features. Users who do not purchase a paid plan will be automatically downgraded to Leadfeeder Lite when their trial ends. Please, find our pricing here. 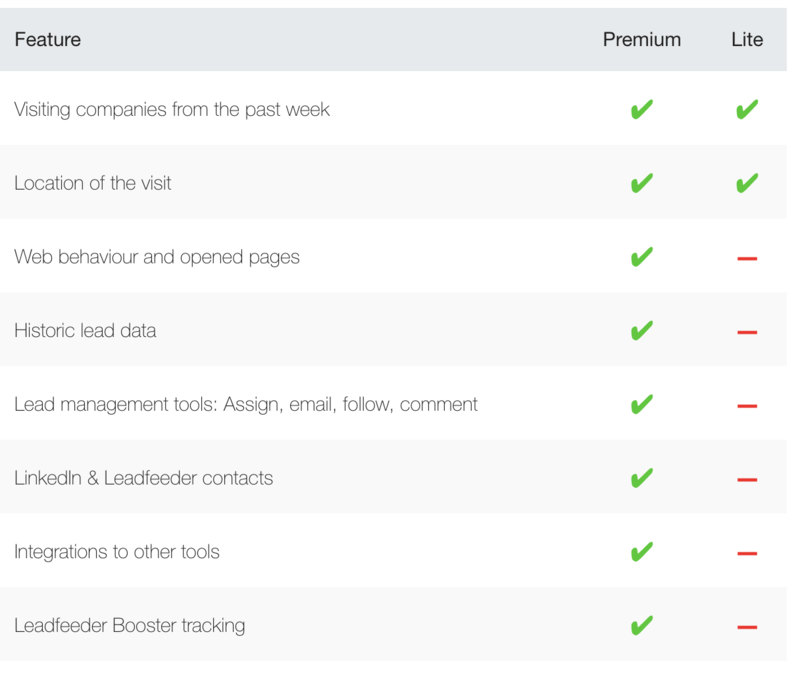 NOTE: If you don't buy Leadfeeder Premium within 30 days of your trial ending, you will lose access to your old data.